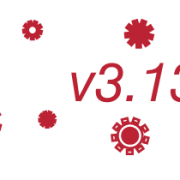 Animana 3.13 contains several new features and enhancements, including the ability to copy existing custom protocols and internal batch numbers. We strongly recommend you to read these release notes carefully in order to stay up to date with the changes made. For more information, check the various Knowldege Base articles linked to throughout this document, or feel free to contact your local support team at idexx-animana-support-uk@idexx.com. Do you work with custom protocols to simplify repetitive tasks like basic exams and treatment plans for common diseases? In Animana 3.13, you can now copy existing custom protocols. Now when you need to recreate a custom protocol with minor changes, you can simply copy existing protocols and adjust them to meet your needs. This will help you save valuable time in the clinic, simplifying the creation of common protocols like new annual treatment plans, allowing you to copy all the information from your existing protocols and only adjust the necessary details. To learn more about copying existing custom protocols in Animana 3.13, see our article in the Knowledge Base. Managing stock across multiple clinic locations accurately is easy in Animana 3.13. Now when you’re moving stock between clinic locations, you’ll be able to select batches from a drop-down menu from the internal order list in Animana. Not only does this save time compared to manually entering your internal orders, but it also helps avoid mistakes that can occur when entering information manually. This will allow practices to manage stock both more efficiently and more accurately within Animana. For more information on creating and working with internal orders, see our article on creating internal orders in the Knowledge Base. The updated 2018 IDEXX In-House Diagnostics and IDEXX Reference Labs price lists are available in Animana. UK customers can add products or update existing product prices for IDEXX In-House Diagnostics and IDEXX Reference Lab. Please consult the Knowledge Base articles for more information on how to add IDEXX products or update your IDEXX product prices. We’ve been working hard in the background to make technical improvements on our servers. By optimising the technical process by which reports gather and present information, we’ve made this part of Animana better equipped to keep up with the reporting needs of busy clinics. In Animana 3.13, you’ll likely notice increased speed of reporting in Animana as a result of our continuing investments in the stability and security of Animana. We hope you enjoy working with the new features and improvements we’ve introduced in Animana 3.13. If you have any questions about any of the changes in 3.13, never hesitate to check the Knowledge Base or get in touch with Animana Customer Support.